Continuing with our review of the G&M The Wood Makes The Whisky Series, here is the review of the 1991 Speyburn. Taken from The Wood Makes the Whisky series, in which G&M explain the impact choosing the right casks has on whisky, and explaining how they have applied that knowledge of maturation to their whiskies. 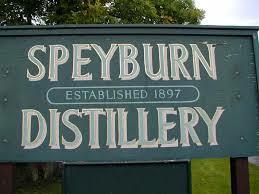 Not many single malts are released from this distillery with the most of the whisky being used for blends, there is the occasional independent release and having not tried very many Speyburn’s, especially independent bottlings, I am interested to review this. There is also no age statement, only a vintage of 1991. As this is a Speyside whisky I am expecting this to be sweet, fruity and malty. Time to find out. This is bottled at 46% ABV and is available at a price of £46. Cooked red apples, drizzled with honey and fresh yogurt are first to arrive. Porridge oats and nutmeg, with boiled milk and banana rusks. Sticky, chewy, toffees and milk chocolate combine, reminiscent of Cadbury’s chocolate Eclairs. As this starts to breathe there is a distinctly floral note, violets combining with pansies and fresh hay. The apples from the nose appear, along with crumble mix and toasted oats. There is the sweetness of homemade custard, with vanilla appearing in abundance. Toffee Sauce and chopped dates, combine with ginger biscuits bringing a warmth to this whisky. There are some oak notes coming through, which take this in a different, woodier direction. This starts off very sweet, with the typical honey, cereal and creamy notes, you would expect from a Speyside whisky. The apples are fruity, with the oats and toffee creaminess coating your palate. The oakiness of the wood, alongside the ginger notes bring a warmth. As this starts to dissipate you are left with an overall sweetness, underpinned by some drying tannins and baking spices. This is a very sweet, almost chewable whisky. It’s a classic Speyside and has by no mean reinvented the wheel, but it is very easy drinking and very moreish. The milk chocolate notes and vanilla cream are comforting, and overall this is a very comforting whisky, one that you could quite happily keep sipping. It’s not terribly complex, however it is still a lovely whisky. The advent of the wood spices and the ginger, then give this a much needed lift, and adds balance. An inoffensive, enjoyable whisky.